The perfect choice for baby’s first car!A fun add-on to any child’s car collection.It is the perfect idea for 1 year old toddlers baby boys and girls best gifts, Birthday Presents, Christmas Gifts, etc. 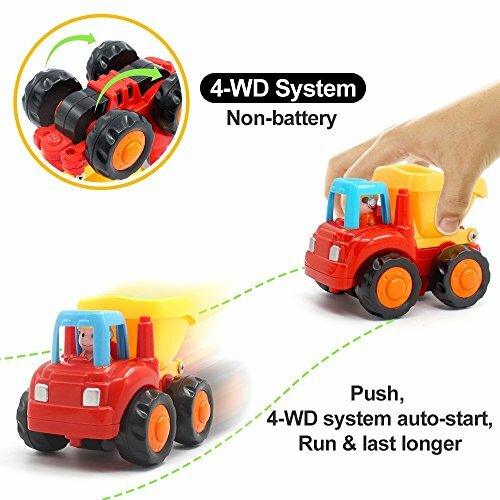 Set of 5 Friction Powered Toy Trucks for Toddlers. Perfect for enthusiastic little hands. Made of high quality, sturdy plastic. Long lasting friction power. 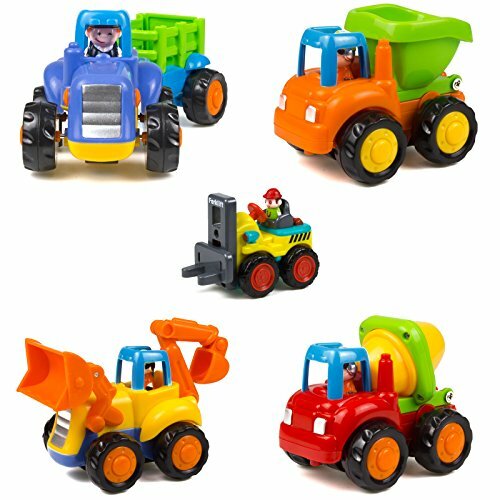 Includes:mini forklift, cement truck, dump truck, bulldozer and farm tractor with wagon. Bulldozer: the arm of the bulldozer can move up and down, each joint of it can move flexibly to form differently. 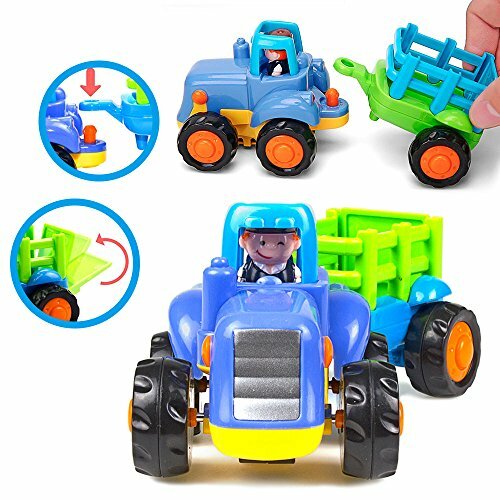 Farm tractor: Fun cartoon driver will amuse your baby, the carriage can be jointed to the main body to carry small items,and the rear door can be opened or closed exercising the flexibility of baby’s hands. 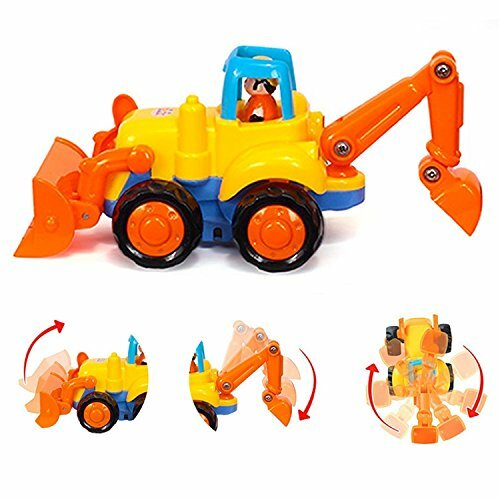 Dump truck: rotating car hopper can discharge the building materials conveniently. 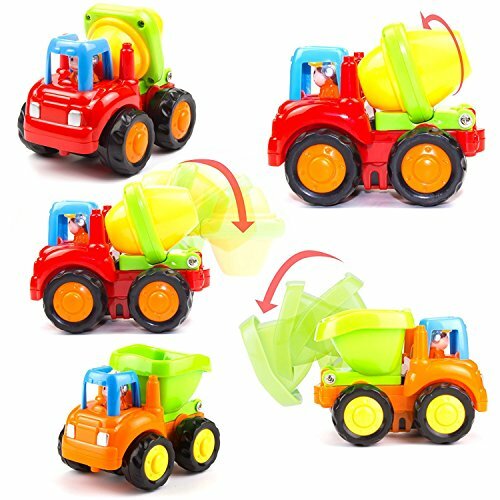 Cement truck: the mixer can rotate up and down and discharge the cement, letting kids know the principle of mechanical automation, cultivating their creativity and manipulative ability. 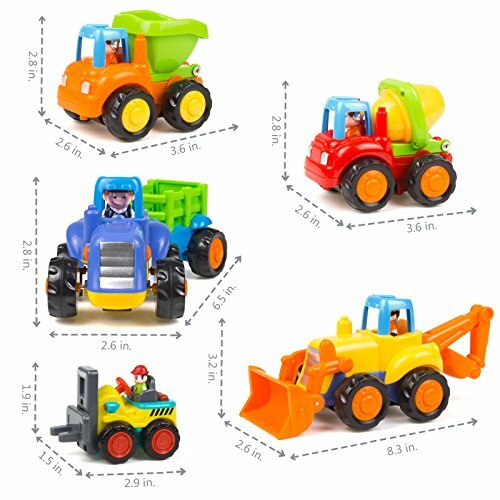 Distinguishing different names and functions of the trucks, cultivate baby’s observation and attention. 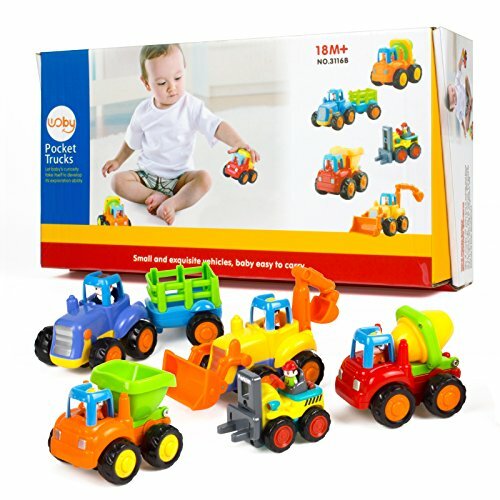 Different shapes and colors of trucks help baby to recognize new thing and stimulate their visual development. Exercising the coordinated capacity via the inertia of the trucks when playing. 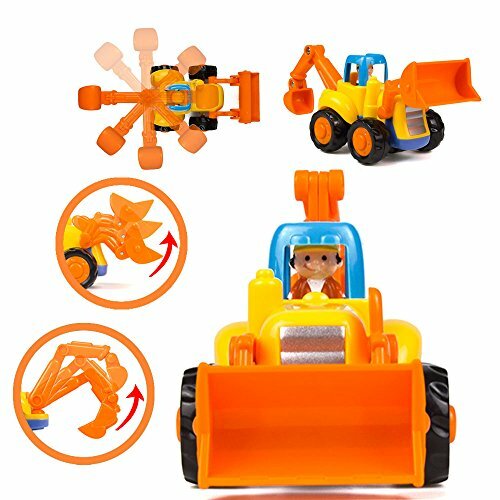 Woby Play Vehicles Construction Excavator Dump Truck Play set Preschool Learning Toys for Children Toddlers Kids.